Snap Inc is set to out its Q2 results very soon after the bell August 7 NY time with several investors and analysts setting various expectations for the company and waiting to see what will come out of its 2nd quarter results after a first one which proved a bit challenging for the LA based social networking and described camera company. Snap faced slower growth of its userbase after an app redesign which didn't come out well with core users amid swath of complaints about the redesign with Snap taking several measures to fix these issues in recent times. 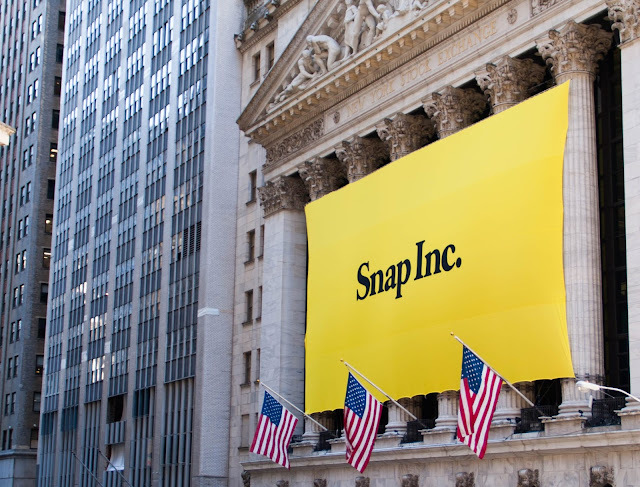 Analysts are focused on user numbers along with revenues with average estimates of surpassing 193 million daily active users being a target for Snap which has seen its stock dive over 20% in previous times after release of earnings reports. Analysts are also estimating losses of $0.308 per share compared to losses of $0.360 per share comapred to Q2 last year with $1.16 Billion in revenue forecast for the year compared to $825 million as of last year. Snap stock currently trades at about $13 a share as of writing with a total market cap north of $16 Billion in anticipation for its results release.